Harder than the North Tower, the Central Tower of Paine offers some of the best climbing in all of Patagonia. The Central Tower is a Grade VI route with climbing difficulties up to 5.10+, A2. This very technical route, combined with the legendary Patagonian weather, makes this climb extremely challenging. 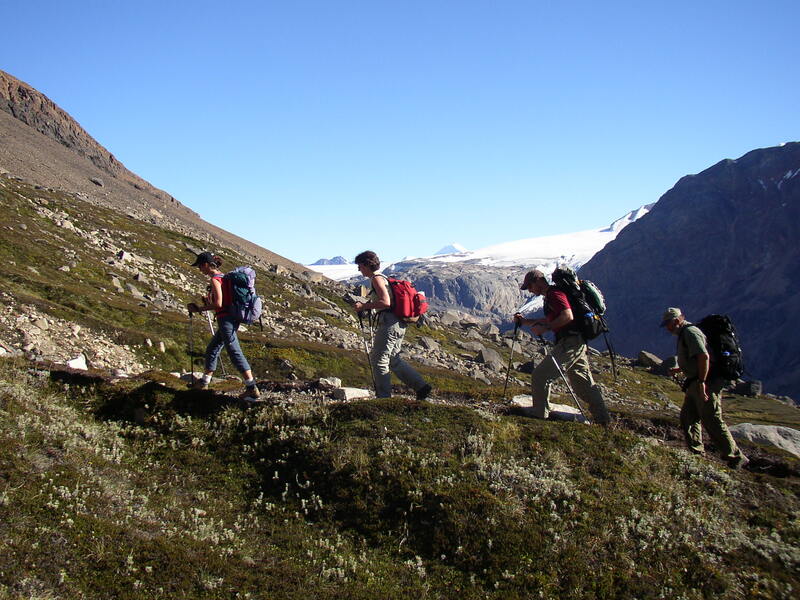 Aventuras Patagonicas was one of the first companies to do this type of guiding in Patagonia. Day 01We meet in Punta Arenas, we will pick you up at the airport. Gear check at the hotel and expedition briefing. At dinner we will try some of the fine Chilean cuisine and wines. Day 02Spectacular drive to Parque Nacional Torres del Paine (Towers of Paine National Park), one of the most beautiful parks in the world. Drive to Laguna Amarga and establish camp. Arrange horses for next day. Day 03Hike to Camp 1 and establish camp. Horses will carry all of our gear to this camp. Day 04Carry a load to Camp 2. Follow the Ascencio Valley with a breathtaking view of the Towers of Paine. Horses will take our gear to Camp 1. From here on we will double carry loads to each camp. This will be our advance Base Camp. This spot at the end of the forest is our last protected spot from the strong Patagonian winds. Day 05Move to Camp 2. Day 06Carry a load to Camp 3, at the base of the Towers. Day 07Move to Camp 3, only if not windy. Day 08Fix line all the way to the Col Bich, the col where the Central Tower meets with the North Tower. We will be surrounded by impressive steep faces of perfect Patagonian granite: to the west the Fortress and the Shield, to the south the Central and South Towers, to the east the vast Patagonian Pampa, and to the northwest the Southern Patagonia Icefield. Day 09Jumar up to Col Bich and keep fixing lines on the Central Tower. The Central Tower is a Grade VI route with climbing difficulties up to 5.10+, A2. If weather is good, apossible push for the summit is an option. Day 10Second summit attempt or descend down to Base Camp for rest and to dry gear, etc. Early start for the summit. It will be a long day ascending fixed lines all the way to the end of the fixed lines, climbing to the summit, and rappelling down to Camp 3. Day 11Third summit attempt or descend down to Base Camp for rest and to dry gear, etc. Day 12Fourth summit attempt or descend down to Base Camp for rest and to dry gear, etc. Day 13Fifth summit attempt or descend down to Base Camp for rest and to dry gear, etc. Day 15Down to Camp 1. Day 16Down to Laguna Amarga. Next DayDrive back to Punta Arenas. End of expedition and celebration dinner. Next day fly home via Santiago or continue traveling in South America.